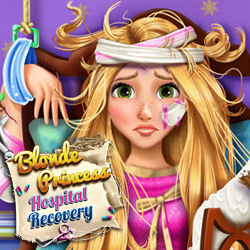 Description: This blonde princess fell off her horse while going for a ride outside the palace and now she has to reach the hospital immediately so that she can recover. Take care of her injuries and start the treatment. Heal the broken bones with the x-ray machine, disinfect the wounds, give her the right medicine and the blonde princess will be healthy once more.